After massive layoffs in an attempt to cut spendings, and after it sold its Finnish headquarters, Nokia continue with the severe “optimization” measures, now by slashing 300 jobs and instead outsourcing its IT operation. In addition to slashing 300 jobs, the Finnish phone maker will transfer 820 of its current employees to other tech consultancies. Bad news is most of those cuts will happen close to the bone, in Finland, the company’s home. Those who end up without a job, will get an offer to participate in the Nokia Bridge program, an initiative formed to stimulate former employees start their own company or continue with external projects. “Nokia believes these changes will increase operational efficiency and reduce operating costs creating an IT organization appropriate for Nokia’s current size and scope,” Nokia said in a statement today. It's sad to see Nokia in this state, it's Nokia board's fault for sure but still I hate MS and Elop. Those guys want to tie Nokia to the sinking ship called WP. They don't care about Nokia, they only care about their beloved WP. +1 to you, sir. Those trolls are completely oblivious about the reality of Nokia's ingenious strategy! Thousands of workers have been shown the door after a decade of contribution in making Nokia one of the best known brands in the world. -1 Another example of Pot Calling the Kettle Black. Do they have a choice? They are re-structuring and cutting cost. Ignorance can't see this. 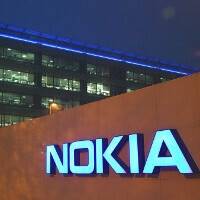 Nokia is not the lone player doing the rebuilding. There are already signs of turnaround soon. Lumias are not declining, they are growing amidst fierce competition (that's why trolls like you bug the site). Only you trolls have no vision. How much lower can you go Nokia? Time to go Android! Can you refrain from posting the same thing in every Nokia/WP post? You would've gone saying the 920 is the best phone if it ran android. It's the best already running Windows Phone. Sales does not equate best, though they will approach that segment in the coming months. I didn't say the 920 is a bad phone. It's a terrific phone although I feel WP should be ironed out a bit. Still WP is a great (emerging) OS, and I'm not going to stop expressing my opinions in spite of these annoying trolls. It's probably the only site where there are such android fanboys who stop others from having their opinion, liking a OS/phone of their choice, pointing android's flaws and want to stuff their views in other's throats. BTW they call you paid shills/ retards when you don't agree with them. Thumbs down on the forum suggest the narrow mindedness of these guys. As long as Nokia continues to survive off "Coupons" from M$ there's only one path that it can take -- Same as Novel. This is what a ny association with M$ do. M$ is more interested in the patent portfolio of Nokia and would want it completely worthless on paper otherwise before takeover biod is made. Good work E(f)lop. nokia already does this. they have quite a few nokia exclusive apps on wp8. it's the rest of the ppl on wp8 platform like htc and samsung (what little there is) owners that get left out. the reason they dont want to adopt android is simple. the android market is already crowded with many manufacturers. wp8 market has only a couple and nokia is now the major player in that ecosystem. from a business standpoint they made the right decision. the challenge is getting the ecosystem to flourish. Really? Is that all you have like a broken record? i disagree. i think they made the right choice going wp8. elop took a dying company and changed their whole direction in 180 degree turn. now their stock has gone from $1.68 in june 2011 to over $4 this month. that doesnt sound like elop is doing something wrong. Oh the irony. Microsoft PAID BILLIONS to Nokia to go WP!! You morons!! could you show me proof that microsoft paid billions to get nokia on wp8? i'm curious. Only true moron will make a reasoning like that. They have contract like any other company, eg. discount in royalies, integrated app store, use of Nokia mapping in the ecosystem, search, joint outreach program for developers, etc. There is nothing wrong with partnership working for a common goal. Let every carrier have a lumia 920 & that should fix some issues. Like I said. The Nokia 920 will not singlehandedly bring Nokia back to glory. If they can't touch iPhone how can they touch Android? The WP fanboyz are stuck in a state of denial.